What’s the real difference between Champagne and Prosecco? 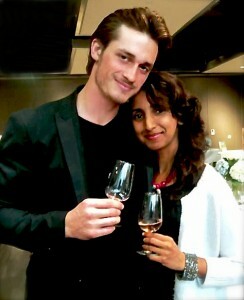 Priya: Ahh bubbly! 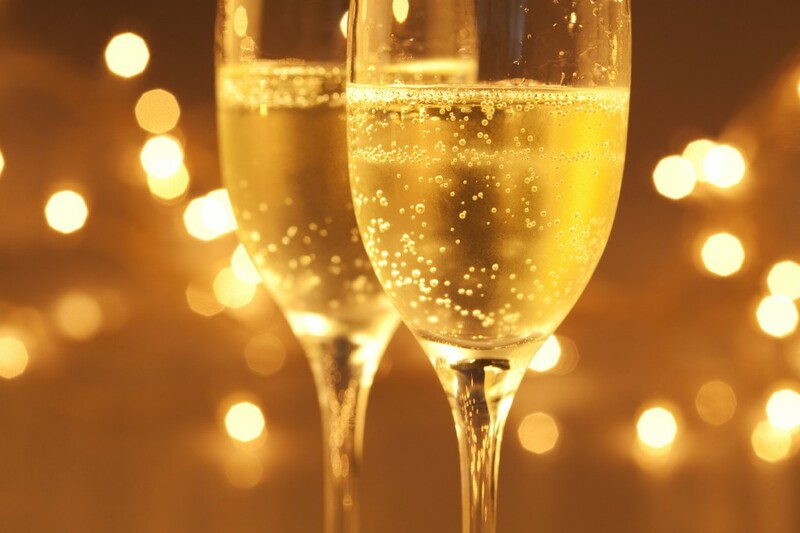 There are so many styles of sparkling wine but Champagne and Prosecco are undoubtedly the two most popular. Alex: You’re right about that my lady. However, they are distinctly different from one another. So much so that an experienced taster should almost never be fooled – though there are some Proseccos out there that bear similarities to iconic Champagne – but they are rarely encountered and cost equally as much. P: Interesting. As a not-so-experienced taster, I doubt I’d be able to tell them apart in a blind tasting. So what are the differences you might ask, and how does one tell them apart? A: The first clear distinction is where it’s made – Champagne is named after the region where it is produced in France, and must come from there to be legally called Champagne. It’s much colder there than where Prosecco is produced, and home to the famous limestone-rich chalk banks, which the people of Champagne attest is the key to the quality of their sparkling wines. Prosecco, on the other hand, must come from a select few areas of the Veneto region of Italy, a warmer climate. P: Aha, so it’s France vs Italy. A common match up! With two such different climates, I’m assuming that the grapes must differ. Is that right? A: Absolutely. The principal grape (must comprise at least 85% of the wine) of Prosecco used to be named just that, but since 2009 is now known as ‘Glera’. Glera as a grape tends to exhibit aromas of orchard fruit (peach, pear) and be very fruity – often making me think of bubblegum – and fruit-forward on the palate as well. This gives it an impression of sweetness, although it is almost always dry. 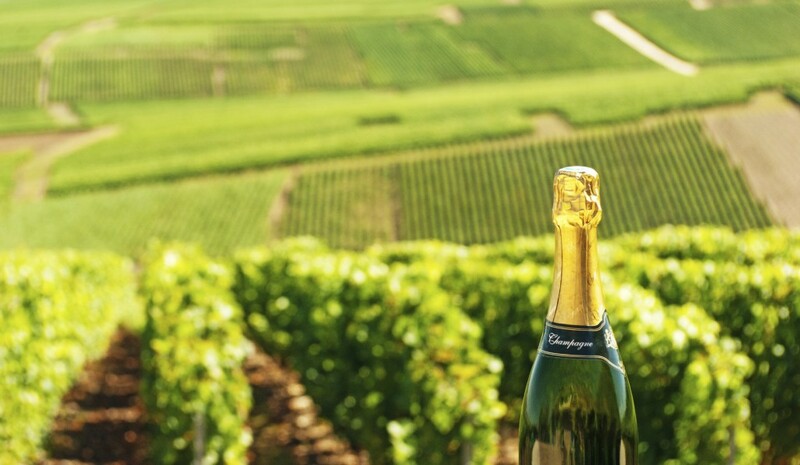 The principal grapes of Champagne are Chardonnay (white), Pinot Noir and Pinot Meunier (red). It can be made from just one of these grapes, or any combination there of, and with small doses of a couple of others if the producer desires. P: I don’t know how you detect such differences in taste. Whether it’s Champagne, Prosecco or Cava or Moscato—all I taste is bubbles! Guess I just need more practice tasting! What’s the next difference? A: Process. Both these sparkling wines are created by undergoing a second fermentation whereby the CO2 exhumed by the yeast is trapped in the wine, creating the bubbles that make these delicious libations ‘sparkling’. However this is achieved in 2 different ways here, leading to dramatically different results. Prosecco is made by the Charmat method, where basically the wine undergoes its second fermentation in a large tank, where the CO2 cannot escape, and then is quickly bottled and sold shortly thereafter. Champagne is produced through a much more costly and painstaking method, where the producer bottles the still wines each with additional yeast and sugar in an exact ratio, and the secondary fermentation takes place in each individual bottle. It’s truly an art form! P: That’s where they rotate each bottle every so often and change the angle slightly to bring the yeast to the bottom? A: Exactly. It’s called ‘riddling’. The next difference is in aging. In general, Proseccos are produced and sold quickly in high volumes. Though there are some exceptions, the majority are intended as an affordable, cheerful, libation. They don’t get to spend time with the lees i.e. the yeast cells that die at the end of secondary fermentation, as the wine is removed from the tank and bottled without them. Champagnes are the opposite. 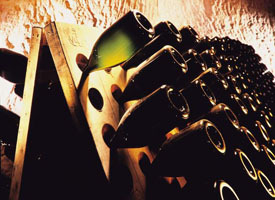 Every Champagne is required to be left to age in their bottle for a minimum 15 months, and many are left to sleep for much longer before being released to market. And yes, they spend plenty of time (minimum 1 year) with the deceased yeast of their secondary fermentation, in each individual bottle. This has a profound effect, lending complexity, a cheesy, toasty aroma, creamier texture and additional weight on the palate. P: Lees and fermentation and riddling, oh my! I feel like I’m getting a crash course in making bubbly! Anything else? A: We haven’t talked about the most important thing yet—the bubbles! Champagnes are always more effervescent than Proseccos, as the bottle fermentation they go through is capable of producing 5-6 atmospheres of pressure, whereas the tank method of Prosecco will only give 2-4 atmospheres. P: What does this mean on a practical, drinking basis? A: It’s evident upon opening the bottle. To me you’re battling to keep the cork of a Champagne from flying off, but with Prosecco you’re often trying to pull it out! As a result, not only are there more bubbles in a champagne, but they’re also smaller. This evokes the term ‘mousse’, as a creamy sensation is thereby produced in the mouth, and indeed the best Champagnes have a mousse that is just otherworldly in texture. P: It would be very cool to see in a side-by-side comparison of Champagne and Prosecco, the quantity and size of the bubbles. To sum it all up, it seems safe to suggest that Prosecco and Champagne are entirely different drinks for different times. A: You’re right about that. Champagne is expensive, usually minimum $40 a bottle, and rising into the thousands, where Prosecco ranges between $12 – 20. You might say Champagne is a higher quality and classier drink, but that doesn’t mean you’ll like it better. They can be intense- yeasty, chalky, very acidic and with many bubbles assaulting your senses. One might say Proseccos are more straight-forward and easier to enjoy. They’re fruitier, less bubbley, less acidic, and without complex, winey aromas and tastes. Champagne to me is a treat, to be revered and contemplated. It can be quite magical, and exhibit the complexities and depth of the world’s finest juice. 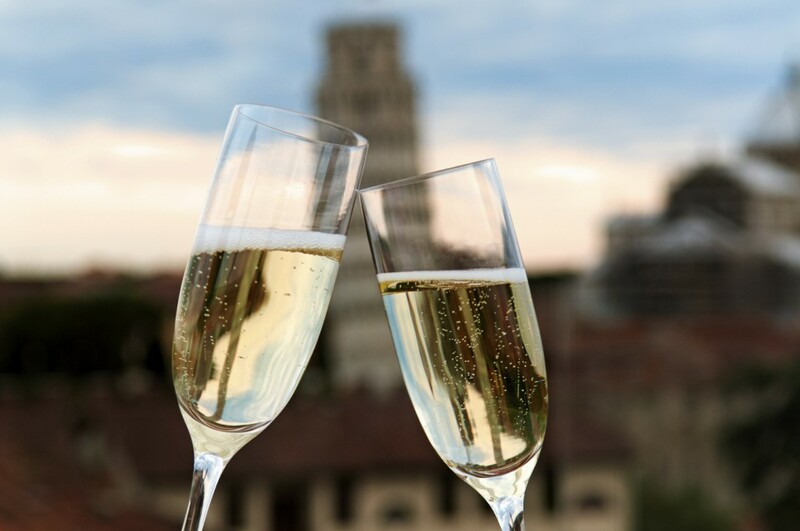 Prosecco is more reliable when it comes to pleasing a vast array of diverse palates, and will surely improve the experience of any social gathering. We’ll see you at the tasting bar!